Here’s a shortlist of things to write off as exceedingly bad for us. Smoking. Too much screen time. Processed foods. And sitting. That’s right. Study after study shows that excess amounts of sitting -- we’re talking upwards of eight hours a day -- can increase risk of premature mortality. It can lead to higher blood pressure, blood sugar and cholesterol, as well as excess fat around the waist and even thinning in the part of the brain that’s important for memory. What’s the biggest culprit when it comes to excess sitting? Since the average American works more than eight hours a day, that often translates to at least that much time spent in an office chair. And don’t forget the time you spend on your rear during your commute -- or when you arrive home and collapse on the couch with the remote in your hand. There’s a light at the end of the tunnel: It’s called a standing desk, which lifts a computer, keyboard, notebook and/or mouse to allow someone to do their work standing up. Say goodbye to increased risks of “all-cause mortality” and hello to a healthier lifestyle. Here are the top standing desks to consider. Why We Love It: With 99.5 percent five-star reviews -- and top billing from review site Wirecutter -- it’s clear this standing desk is a prize specimen. It’s standalone, meaning it doesn’t sit atop your current desk, like many other options, and that -- along with the sustainable bamboo it’s made of -- contribute to the Jarvis’s $395 price tag. It can lift up to 350 lbs. and comes in a host of different colors and sizes -- including an option for a rectangle or contour shape. As for the pièce de résistance? This desk comes with an LED programmable handset to adjust its height at your leisure. 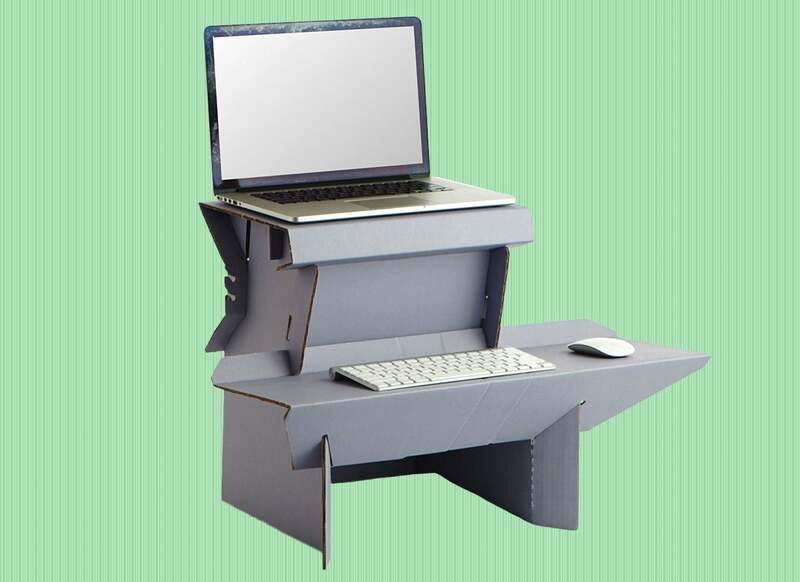 Why We Love It: Flirting with the idea of a standing desk but balking at three-digit price tags? This $20 cardboard model is a great starter. It’s two-tier, so your screen and keyboard can sit on two different levels, and it comes in three different sizes based on height. Putting it together is DIY, but the company behind Spark offers both instructions and explainer videos. Why We Love It: Users can adjust the height of this one-tier standing desk with its attached pump lift, and it transforms between its “sitting” and “standing” settings in just three seconds. It’s also got a relatively large standing height range: between seven and 16 inches, depending on your preference. Another perk? No assembly required. 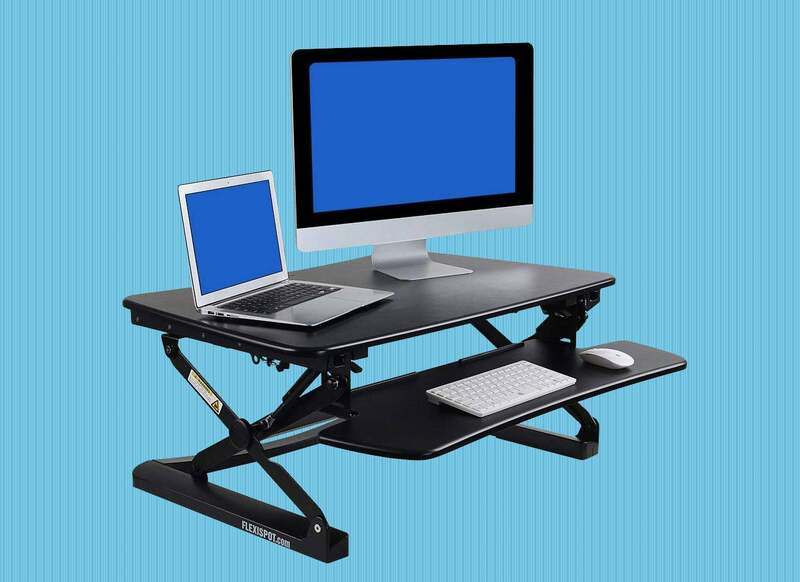 Why We Love It: This two-tier standing desk has a considerable amount of space, meaning that even if you’re attached to using your laptop, monitor, keyboard and mouse all together, you’ll still likely have surface room to spare. 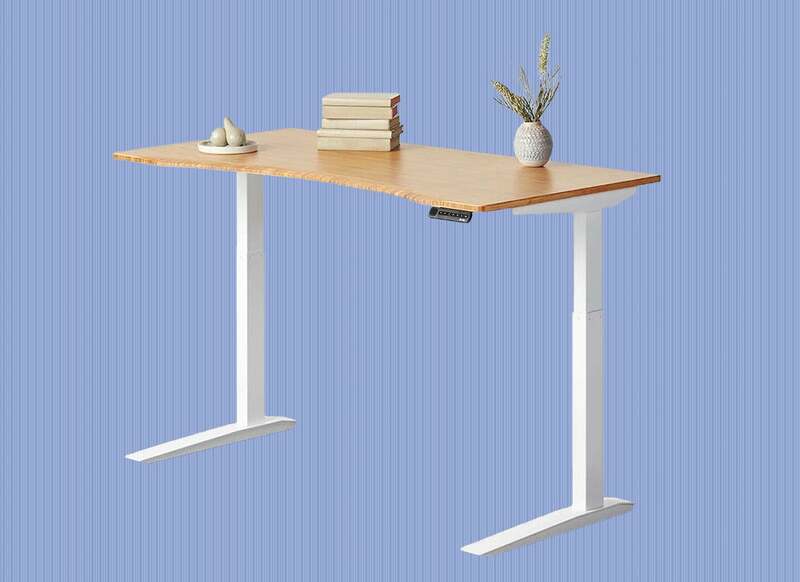 The brand prides itself on its one-handle model, so customers never need to use more than one hand to adjust desk height -- plus, there are 12 different height settings. It’s a heavier desk, which is great for stability, and its quick-release keyboard tray means it’s easy to make everything but your monitor out-of-sight, out-of-mind. 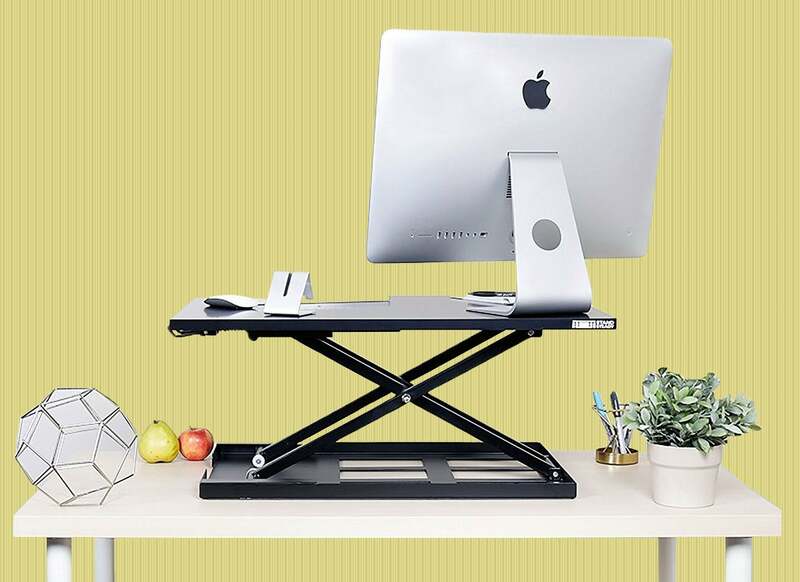 Why We Love It: If you’re an on-the-go freelancer or a member of a coworking space, this portable standing desk could be your saving grace. 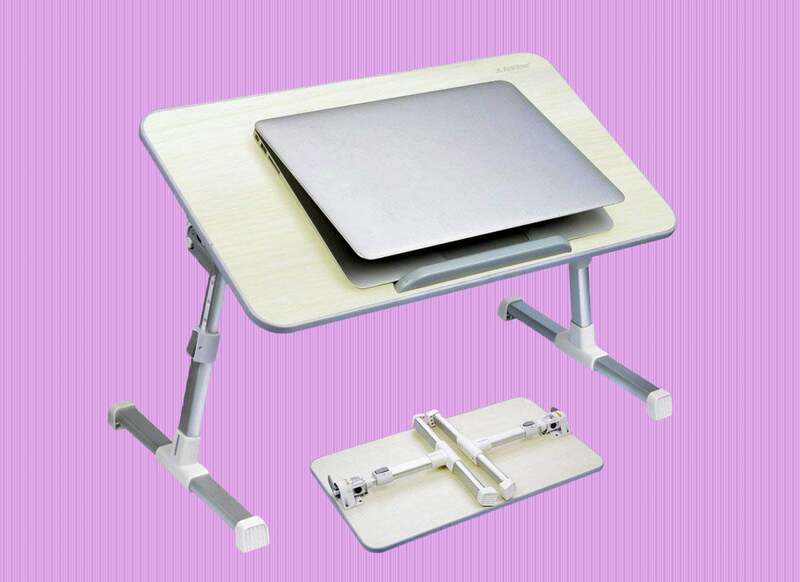 It folds flat for transportation -- or use as a lap desk -- and the desk’s angle can be adjusted between zero and 30 degrees. Another perk? The product’s two-year warranty means customers can trade it in if any problems arise from normal use.